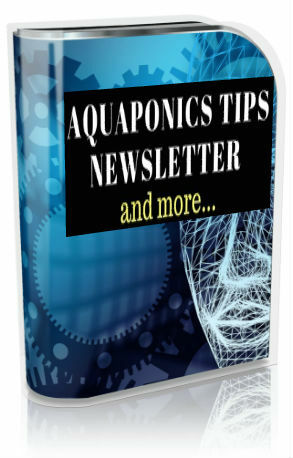 Aquaponic systems is the birth of traditional aquaculture and hydroponics put into one. Both systems complement each other in terms of their advantages and disadvantages creating a symbiotic relationship. for the plants and the plants in return filter the nitrate rich water, making it safe for the fish. And the cycle goes on maintaining a synergistic effect for an aquaponics system with the help of course from the nitriting and nitrating bacteria as part of the bio-filter. Media filled beds use containers or growbeds filled with media to grow plants. The media is normally made out of expanded clay or more commonly known as hydroton, river stones, lava rocks or similar materials. 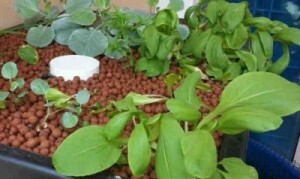 Media Filled bed is the most popular aquaponics system at home. A water pump or an aquarium pump is used to push water to the growbed. The media-filled growbed is where the plants grow. 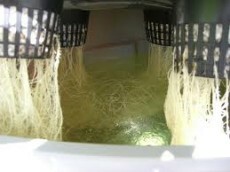 Media-filled aquaponics systems come with continuous water flow systems or flood and drain systems. In a NFT system, plants are grown normally in small cups which allow roots to absorb nutrients from the nutrient rich water that is pumped into enclosed gutters. Now, the system got its name from the flowing water that resembles a thin film hence the name nutrient film technique. Please be reminded that it’s also important to note that NTF is not suitable for all types of plants. Leafy green vegetables grow well here. Larger plants that have big and invasive root systems are not suitable. DWC is normally used in commercial applications and normally only two or three plant variations can be grown at the same time. Plants are placed in grow baskets that are suspended on a floating media. Here, plant roots are left hanging in the water to absorb nutrients. where plants float on water surfaces. One of the biggest benefits of aquaponic systems is that they allow you to place plants closer to each other compared to conventional agriculture. This helps a great deal in space saving. This is possible due to the nutrient rich water in the system. There is more than sufficient of it to go around for all the plants once you’ve done a correct fish to plant ratio. Do you know that you save up to 90% of water compared to conventional agriculture for the same amount of plant that you grow in aquaponics. That is because no daily watering is required in an aquaponics system. Normally topping up of water onve a week would be sufficient. That’s right, another aquaponics is that you don’t need to do any weeding. This is because there’s no soil used in the system thus, does not encourage weeds to grow. Ask any farmer and they will tell you what a relief that is. And that also means no weed killer is required at all, that of course is not encouraged in aquaponic systems. Soil pests are a nuisance and they destroy plants. Truthfully, pesticides are the only antidote to removing soil pests effectively. 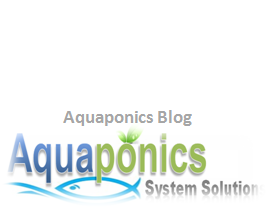 Aquaponics systems are most beneficial because this fact and that saves a lot of money and time in the long run. The use of pesticides to eliminate soil pests isn’t favourable because as you know pesticide toxins can be absorbed easily by plants and by us eventually when we consume these plants. An aquaponics system therefore offer an alternative of growing plants without the use pesticide that is toxic to our body. The truth of the matter is plants that are open to a constant supply to nutrients make them grow faster. One very good example is lettuce. 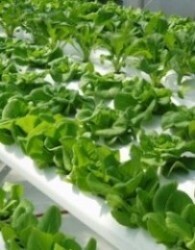 A conventionally grown lettuce takes approximately 2 months to mature when planted in soil have been proven to mature in approximately one month when grown under aquaponic systems. That’s half the time it normally takes. I mean, think of the R.O.I (Returns On Investment) that commercial aquaponics can potentially generate. This could probably be the number one reason why people resort to growing their own food. Can you be sure that food, even organic food found in stores are 100% clear from chemicals? Well, I don’t. 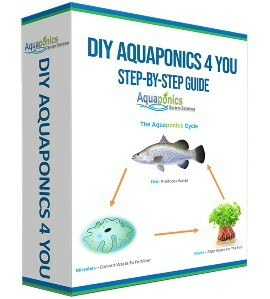 DIY home aquaponics is one of the best, if not the best solution to ensuring production of healthy food for your family. At the end of the day, with aquaponic systems you know you can produce your own food without depleting natural resources or disturbing the ecological balance to nature. That feels great doesn’t is? 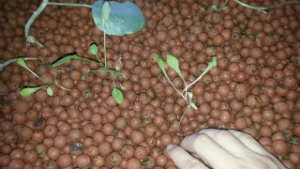 In conclusion, aquaponics system’s numerous benefits make food production much more productive and economical. If you are interested in growing your own healthy food in a cost effective way, you should consider having an aquaponics system at home.